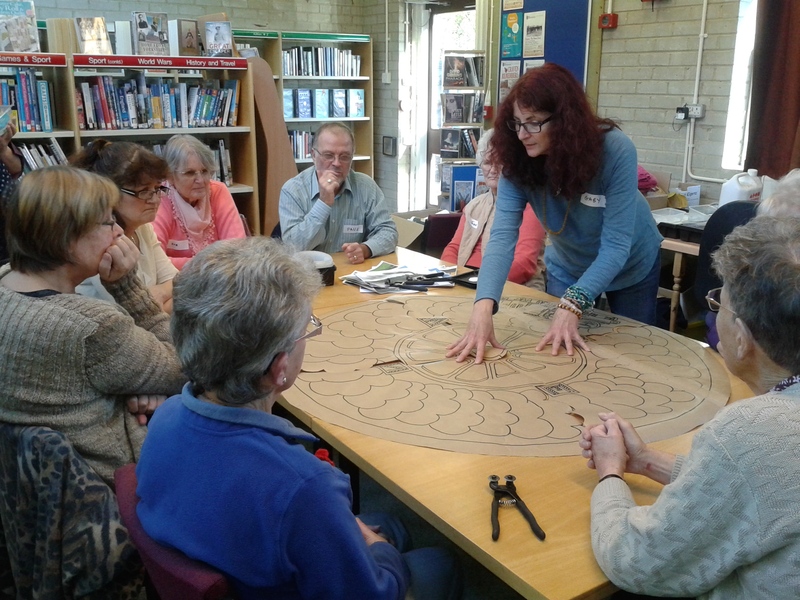 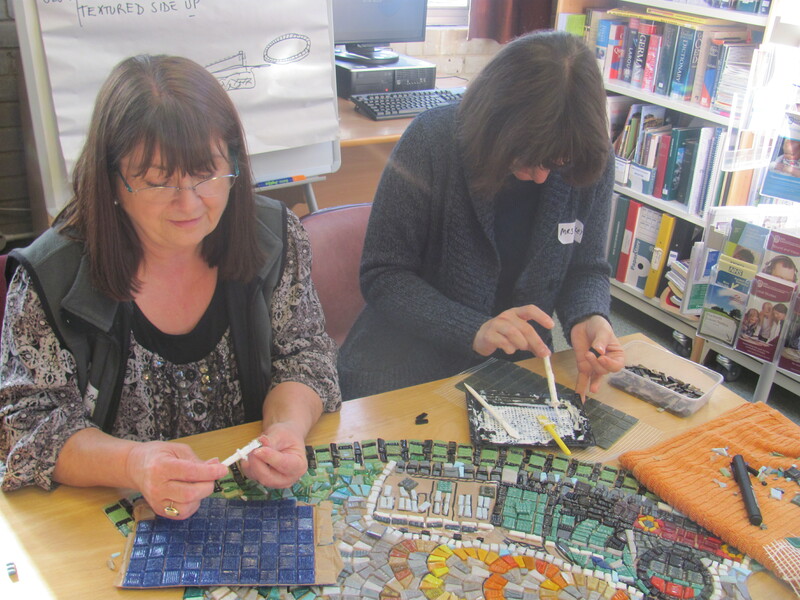 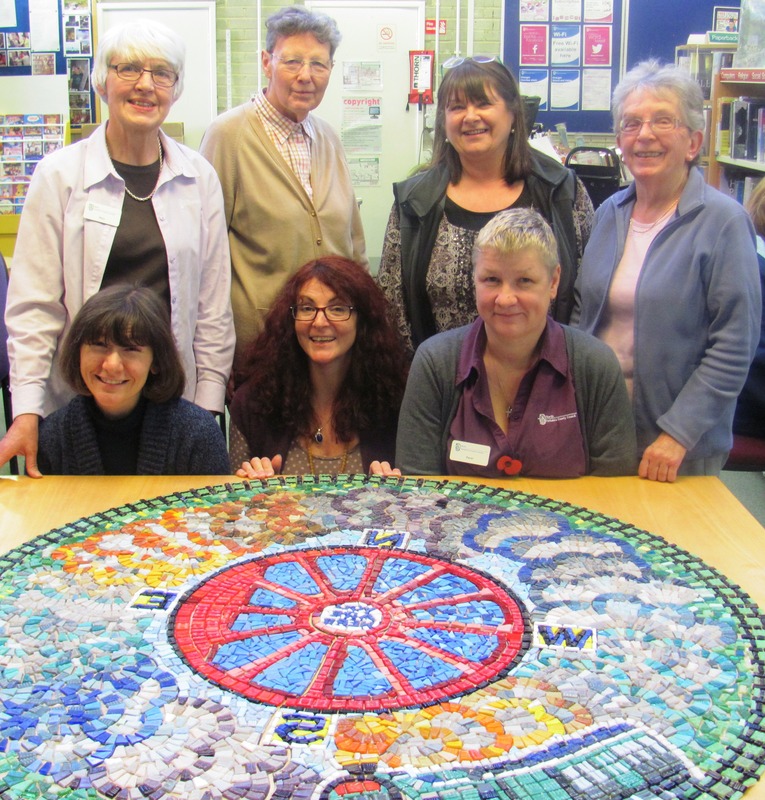 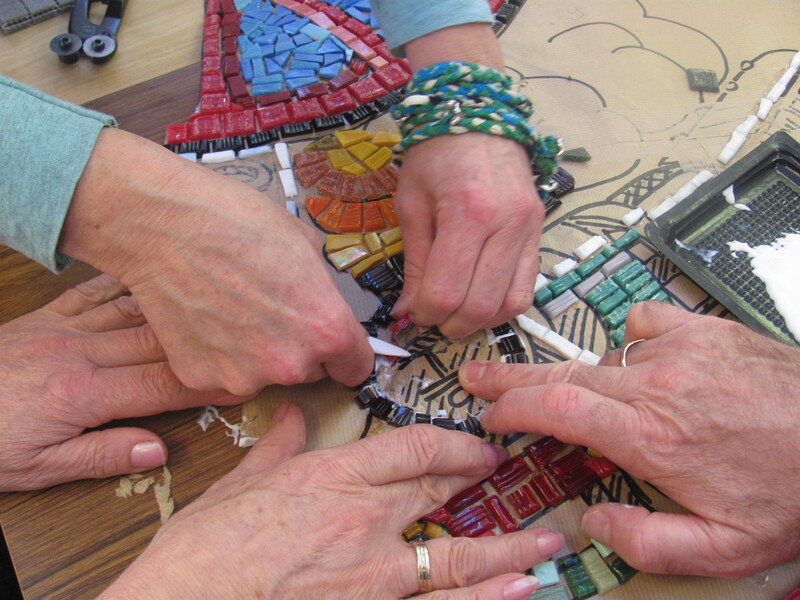 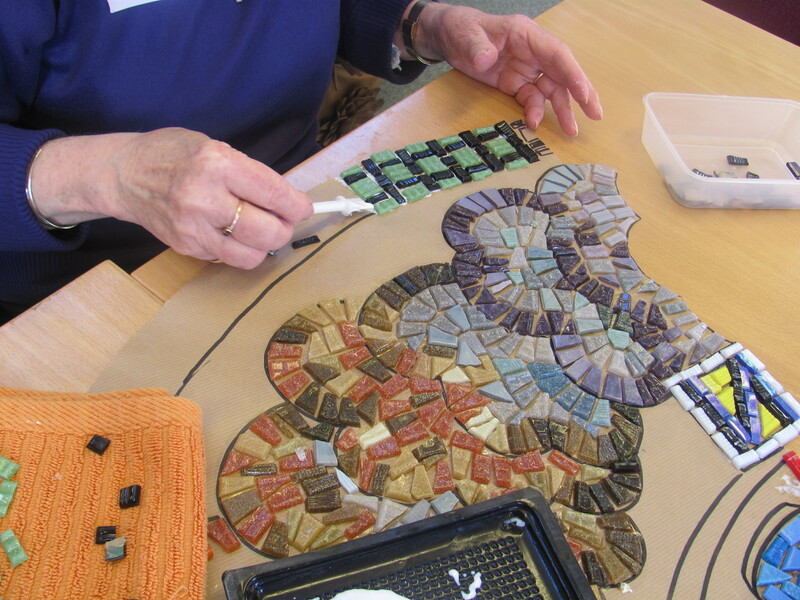 With the help of insprational ceramic artist Gabrielle Naptali, Ingleton has made a spectacular mosaic which both commemorates the loss of the old railway station and celebrates the site’s reincarnation as Ingleborough Community Centre. 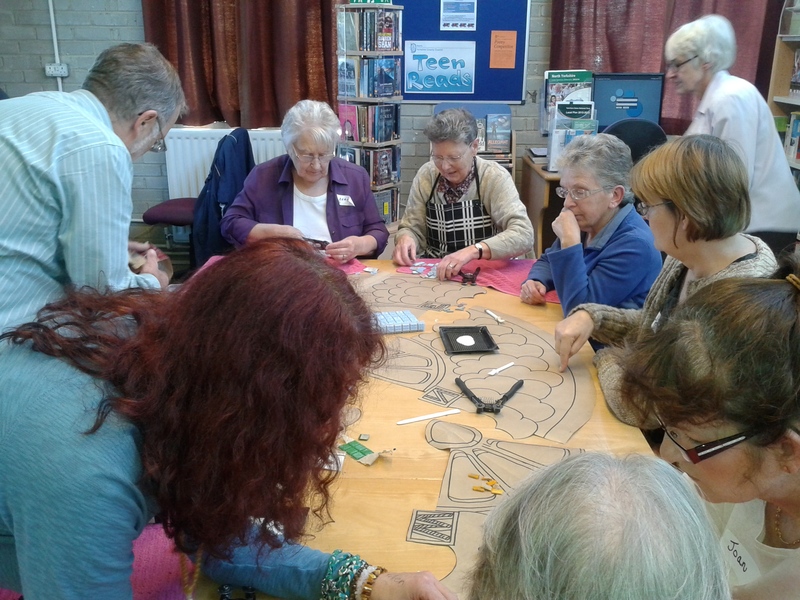 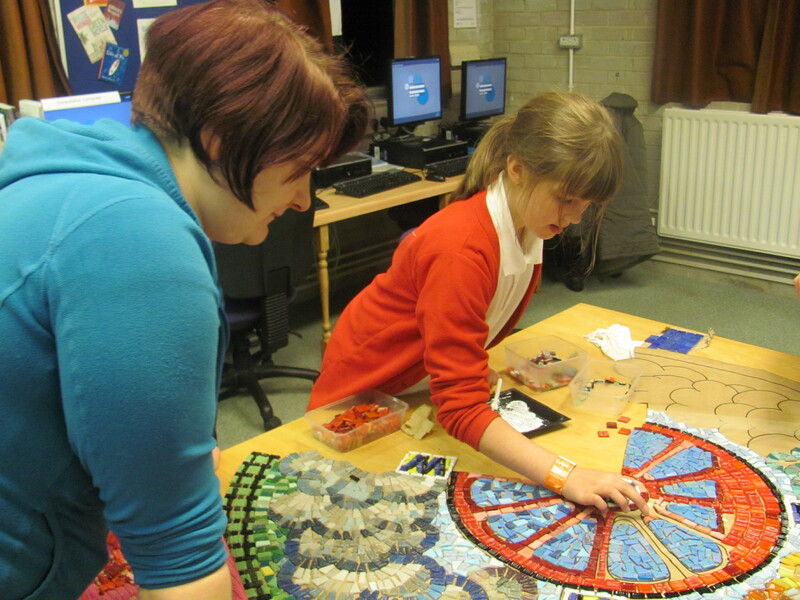 Lots of people came to the workshops – and the whole comuunity was involved – everyone aged 8 to 80. 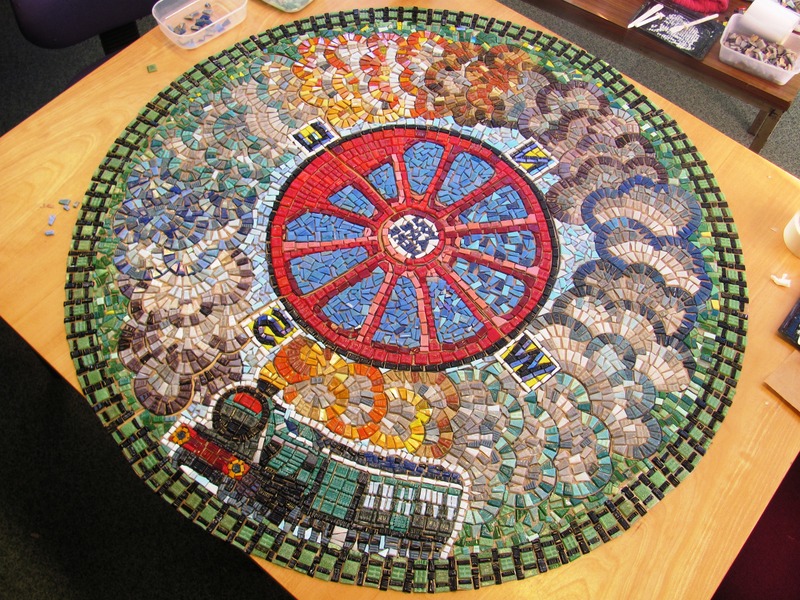 The mosaic, which took a matter of days to complete, depicts a series of images, including a compass, a steam train and a wheel representing Ingleton viaduct. 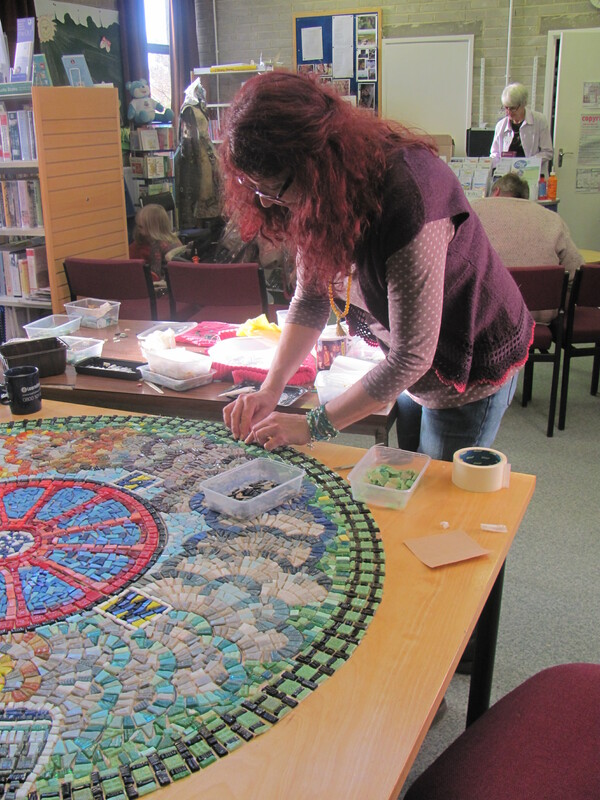 The mosaic has yet to be mounted but should be installed at front the Centre soon. 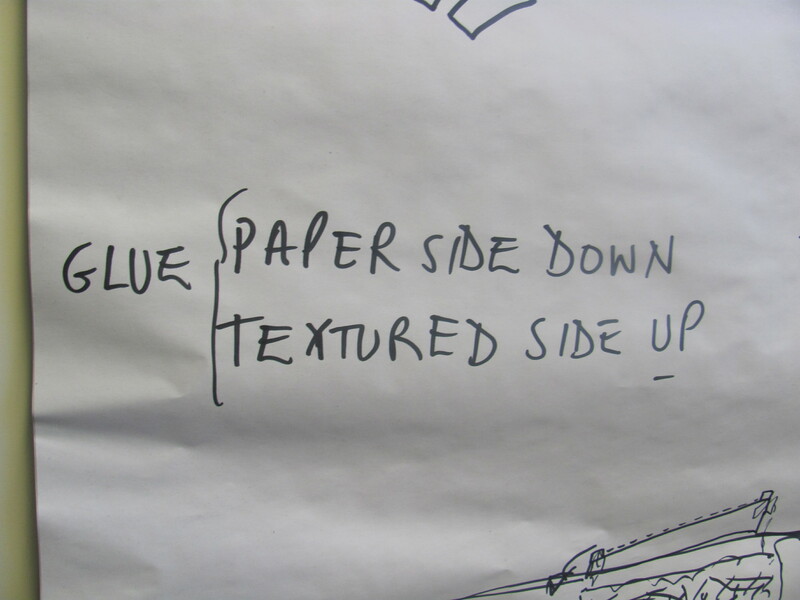 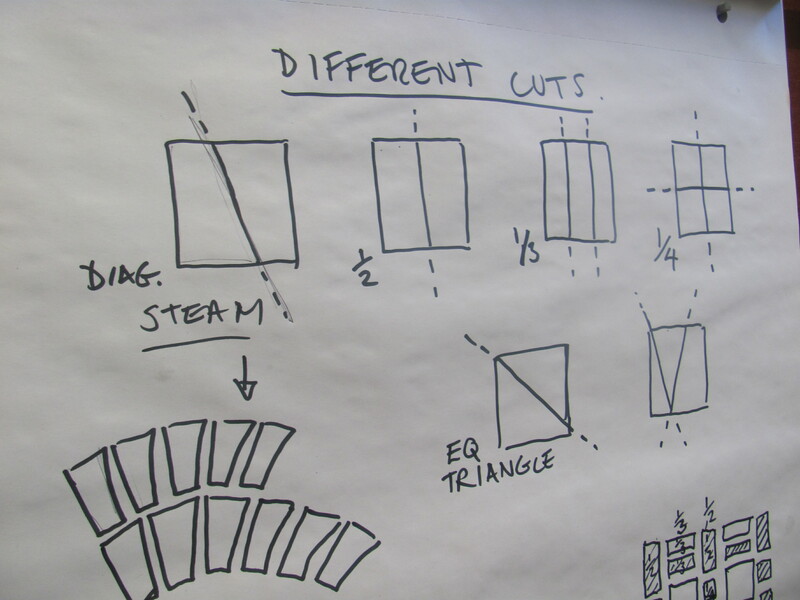 In the meantime, here’s the story of it’s creation….